Found Poetry Review Vol. 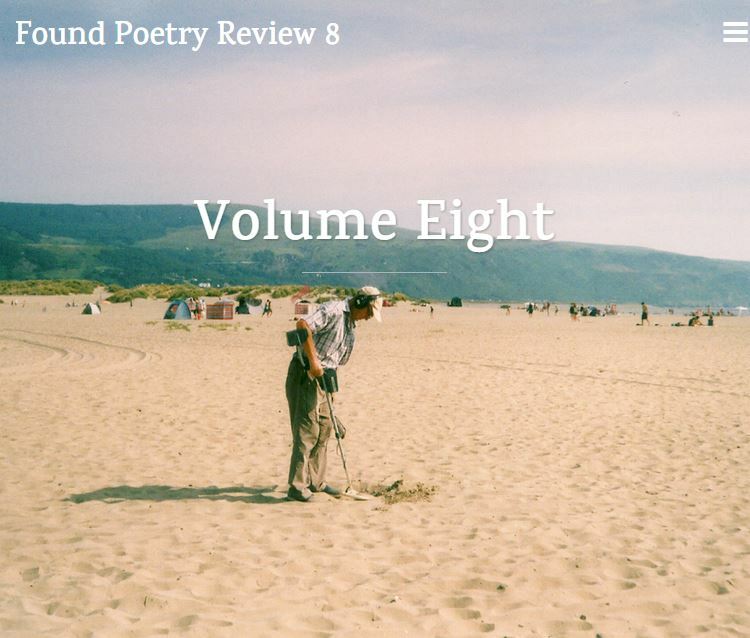 8 Released / Submission Call for Vol. 10, DEADLINE: June 30! I’m honored and excited to have one of my found poems included in Volume 8 of the Found Poetry Review! This issue has a wide variety of found poetry forms and sources–definitely not something to miss! I’m particularly proud of the poem they published “In a Room Made of Poetry,” because it is an homage to my previous professor and dear friend Dr. Laura Hamblin. I took my favorite lines from several poems in her collection The Eyes of a Flounder to create a new poem in honor of her amazing work and talent. Also, there are still a few days left to submit found poetry for Volume 10! Click here for Found Poetry Review’s Submission Guidelines. Give us your poems made up of lines from newspaper articles, instruction booklets, dictionaries, toothpaste boxes, biographies, Craigslist posts, speeches, other poems and any other text-based source. Only found poems will be considered for publication; we regret we cannot publish “original” poems, regardless of quality. You can read more on their About Found Poetry page, or in my interview with them from last November.